Mount Horeb receives 10 cents for every Box Top turned in. Your child's teacher has forms for you to keep them organized as you collect the tops. Once you fill up a sheet, send it back to school. When your child turns it in, they get a reward! So start clipping, Hawks! 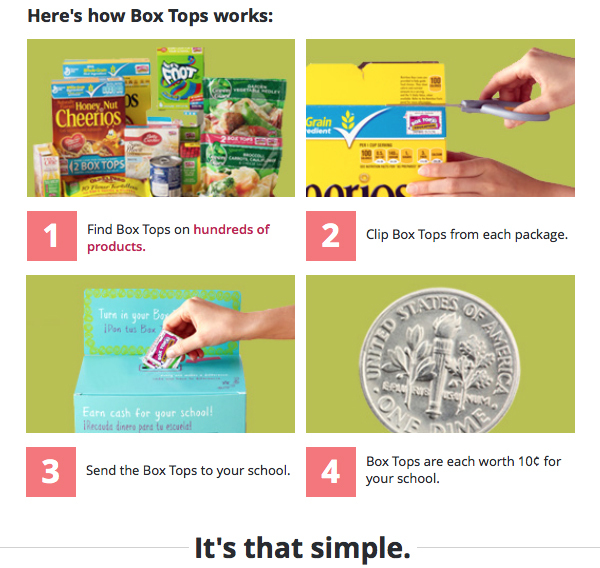 For more information, you can check out the Box Tops for Education website! You can even become a member with access to coupons, sample offers, and detailed school earnings reports! Select "Find Your School" on the homepage. Search for Mount Horeb by our zip code, 37760. Then select our school. Select "Join Free." That's it!